Thanks for the reply! However, I was more wondering if the tools were possible to craft in survival mode (which you have confirmed they can be), and if so if you could tell me what the recipes were or where I could find them. I highly recommend to use JEI, which will allow to see all recipes ingame, just hover with your mouse over an item and press 'r'. First it is a great mod i like it. I can try to redraw the article map, do not know if you will accept? Engraved after the box does not show, become transparent. (Re-enter the game will show), again carved box or not show. Sorry but i don't get what you mean. Maybe find someone who can translate it for you? BSL Shader. Has a really good performance and looks awesome. When I install Better Foliage and Little Tile at the same time, minecraft crashes. Yep this is a known issue just use BetterFoliage-MC1.10.2-2.1.3 instead of the newest version and it will work fine. Thanks, it works. However, BetterFoliage updates to BetterFoliage-MC1.10.2-2.1.5, the crash is still not fixed. Does it seem that its author does not want to fix it? I have to fix, but unfortunately it's rather difficult to do so that's also the reason why it still exists, have not found any time for it yet. LittleTile is the nicest mod I'v seen. Good job and waiting for your good news. Thanks can't wait to work on it either, unfortunately there are some other things which i have to do first, but i'm getting closer and closer. 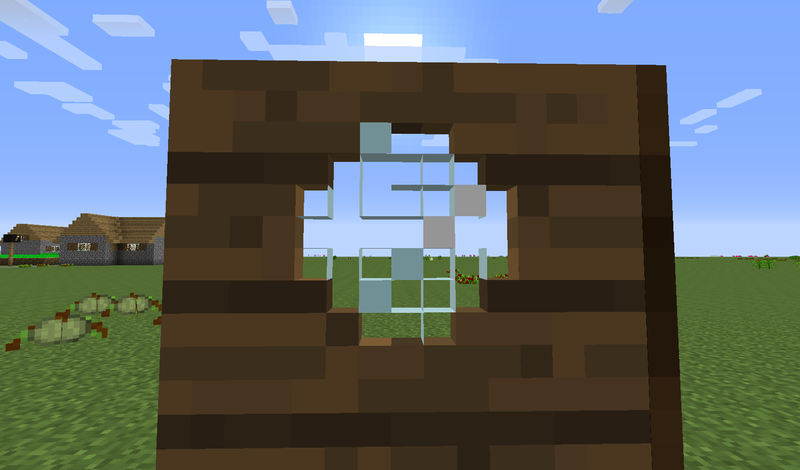 I wonder if the 1.7.10 version has that "doors" functionality? Yes, but unfortunately there are no sliding doors and no door animation. So it just "flicks" like vanilla doors? I can tolerate that Thanks for the info, will definitely add to my game. Hey Do you still update the 1.7.10 version? Edit: The Little Tiles Mod has not much compatability with other mods what's kinda pitty and in the 1.7.10 version Glass Glitches. Mostly Playing Eggwars and Modded. Been playing minecraft since the beginning. Unfortunately there were several problems in 1.7.10 and having no translucent blocks like water or stained glass is really annoying, but i couldn't fix (back then). I abandoned 1.7.10 since my last version for it was somehow stable and the new versions (for 1.10 and 1.11) were to different to backport directly. Supporting two versions at the same time is already rather painful. Especially if you fix a bug and it works fine for the one version, but some time later someone reports you a bug of the other version caused by your fix. Luckily the difference between 1.10 and 1.11 is not major, but it was already enough for those kind of things to happen. So i rather focus on the newer version and try to leave have a good and stable release for each minecraft version. Through that way i can ensure that you can play my mod on any version, but it doesn't hold me back when i add new features to it. Just imagine if i would still support 1.7.10, most likely there wouldn't be animated doors (or other cool features). Hope you can understand that. Wow i'm super impressed with all of your mods. This is just amazing lol. I'm making a pirate themed modpack for myself, and when I saw you make that trap door I died. So pirate like.